With winter on the way, now is the time to make sure you’re well prepared to operate your snowplow equipment safely and effectively in a variety of snow conditions. Now is a great time to perform any needed maintenance or have service work done by a BOSS Snowplow Dealer – as the crush of the first winter snow hasn’t hit yet and you’re likely to have more flexibility with their service schedules. Check your snow plow vehicle’s tire pressure. Check all fluid levels including engine oil, brake fluid, transmission fluid, radiator coolant and windshield washer fluid. Check oil pressure, your engine will work hard this winter – oil is its lifeblood! Make sure the battery is working properly and that terminals are tightly connected with no corrosion. Check the condition of your wipers – operating your BOSS Snowplow with poorly operating windshield wipers is asking for problems. While you’re at it, make sure you defrosting system is working on snowplow truck as well! Check the vehicle’s headlights, brake lights and turn signals to ensure they are all in working order – visibility is crucial both to you and drivers around you. Never venture out without an adequate fuel supply. Make sure that all bolts on your snowplow are tight and well fastened. Look for cracked welds and hydraulic fluid leaks. Make sure the plow lights and turn signals are aligned properly and are in good working order. Carry a few extras – keep a BOSS Snowplow Emergency Parts Kit handy that includes extra hydraulic fluid, hydraulic hoses, a pump solenoid, extra cutting-edge bolts and a trip spring. If you notice that you are in need of service or parts, call or visit your nearest BOSS Snowplow Dealer, if you need help locating your nearest dealer, simply visit bossplow.com and either use the Dealer locator, or feel free to use the new Live Chat button to chat (on-line) with a BOSS Snowplow factory representative. Become familiar with the BOSS Snowplow owner’s manual. It provides valuable information including maintenance procedures, operation guidelines and tips about taking your plow out of storage. Remember, if you need us, we’ll be there to get you back up and running. 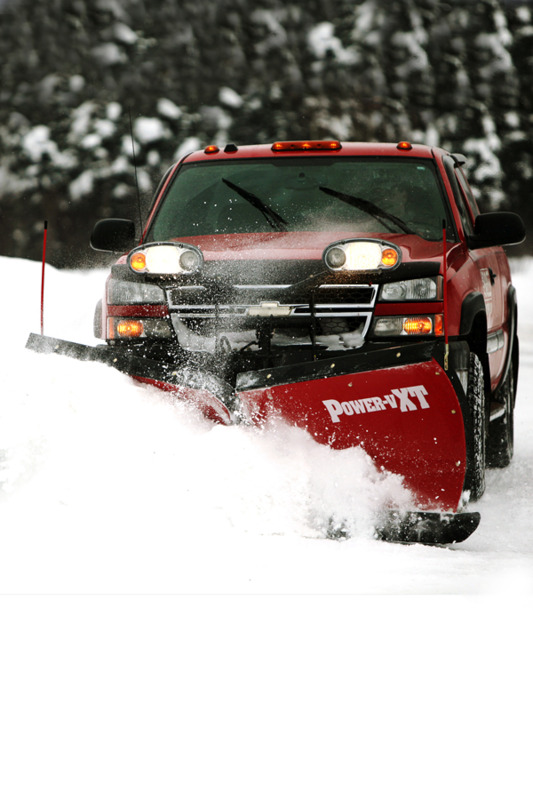 Many BOSS Snowplow dealers feature 24-hour service during big snow events. At the BOSS Snowplow Headquarters you can call us with questions, talk to our Technical Service department, send us an email or with our newest addition to customer service, chat with us live on bossplow.com. If for some reason we can’t speak with you right away, leave a message, and we’ll get back to you quickly!